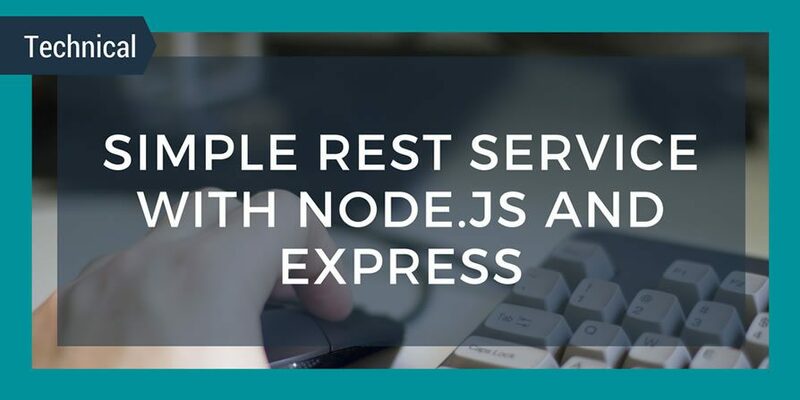 This is a simple tutorial showing how to create a REST service with Node.js using Express. This first tutorial will assume you have already installed Node.js, but it will walk you through installing Express and setting up a project. We will also show how to setup a simple REST service and how you can test it. In follow-up tutorials, we will show how to add a web page interface for interacting with the service, add authentication to the service and how to integrate with MongoDB for persistence. If you are unfamiliar with Node.js, please visit their official website. Express is a web application framework for node.js, more info here. You will want to create a new directory for your project, so create your project directory and then from within that directory, run the following command to create your new project shell. Here we have created a UserProvider class with several methods for accessing a list of users. fetchAllUsers – Fetches all users. fetchUserById – Fetches a user by its _id property. insertUser – Creates a user based on the given user object. updateUser – Updates the details of a user by its _id property. deleteUser – Deletes a user by its _id property. Keeping with the spirit of node.js, everything is event driven, so you pass a callback method to each of these methods. It’s not really that necessary for this array based implementation but when we get to doing real I/O it will become very useful. Next, we move on to the code for the userManager.js file, which is the actual service which will make use of this data provider. Play around with the POST and DELETE methods to add/update and delete users from the array. This concludes the first part of this tutorial, in the next tutorial we will change the array based provider to use MongoDB so that the storage is persistent.